A Specialist Door Hardware and Lock Fitting Service for New Builds and Renovations. I specialise in installing high quality architectural handles and locks into timber doors on-site, using specialist lock carpentry tools. A QUICK, NEAT and TIDY FINISH is GUARANTEED! My repeat business comes from Builders, Interior Designers and Home Owners because this service is second to none. Total Customer Satisfaction - Workmanship 100% Guaranteed! I can help you from start to finish so that you invest your money wisely and so you get top quality workmanship. My service offers: - Consultations including a detailed door schedule for the supplier. - Connecting you up with the most suitable supplier. - Removing old door hardware and taking away. - Patching old holes in doors and frames ready for paint. - Installing handles, locks, bolts, closers, stops etc. 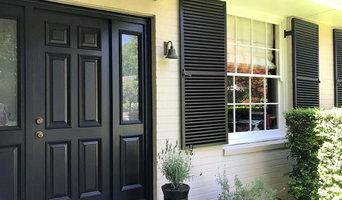 - Hanging doors in existing frames. - 1 year guarantee on my workmanship. My handle and lock fitting service is highly recommended by the big door hardware suppliers in Sydney. SCL/Keeler Hardware, Style Finish, Mother Of Pearl & Sons Trading, Hardware & General Brookvale and Sydney Woodworkers. Contact The Tidy Tradie - Lock Carpenter Today! Builders of quality interior and exterior carpentry. Specialising in the design and construction of small creative spaces and structures. Our business is based on the northern beaches of Sydney for lifestyle and community reasons ensuring that we are always close by for our clients. 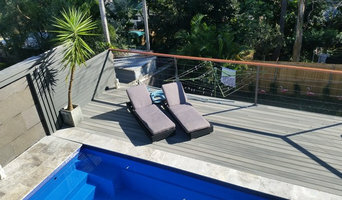 We like to take on one job at a time to maintain a high work standard and to work closely with you as our client to create what you want whether you are looking to expand your home, Create a beautiful deck , outdoor area or renovate a house. We are passionate about a creative and practical approach to building and treat every job as our own. We are a young team of enthusiastic passionate friendly carpenters. We strive to produce quality creative projects in an efficient time frame. We know how frustrating it can be when you have envisioned the project, yet when you have it created it looks nothing like the picture in your head. We work closely with our clients to ensure that you can get those amazing ideas from your head into your life. A boutique building company located at whale beach. 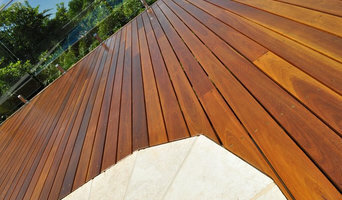 Specialising in renovations and additions , decks, pergolas and bathroom renovations. Crozy is a small proprietary company lead by Marinko Ozakovic who has 25 years of experience in the residential and corporate fit-out industry. Marinko prides himself in having his two sons working hard by his side and absorbing bountiful knowledge he has to offer demonstrating superior workmanship. The company specialises in refurbishment, partitioning, ceiling systems, doors and glazing, working on both large scale developments as well as smaller renovations. Crozy partners with and co-ordinates associated trades ensuring high quality work whilst always meeting deadlines and client expectations. With so many years of experience, Marinko has developed lateral thinking allowing him to put forth his professional opinions to clients for improvements in order to achieve excellence. Through diligent work Crozy Pty Ltd has established sound work relations with larger firms such as Intrec Management Pty Ltd, Horizon Habitats, Integrated Project Group, Elite Project Services some of which regularly subcontract Crozy due to the workers exceptional work and reliability. Conesso Constructions was established in 2016 as a family business. We are a small business within the growing building industry focusing on small to medium building projects. The work we do include Renovations, Additions, Extensions, Granny Flats, etc. In the future we do plan on taking on bigger projects as the industry gets stronger. The business is family owned with one builder at present, which will increase depending on demand of work. We use qualified utility services and suppliers, and we guarantee a top quality job. Carty Homes operates from headquarters in the Northern Sydney suburb of Belrose. Building projects are undertaken for discerning clients at any location within the wider Sydney area and beyond. At Carty Homes we have a clear goal and that is to develop and build Australia’s finest luxury homes and do so in such a way as to make the whole experience an enjoyable and rewarding one for our clients. Since its formation in 1990, the Carty Property Group has established an enviable reputation in the field of residential construction and development. A wide variety of projects have been undertaken from the construction of prestigious homes and luxury apartments to major renovations and restorations including National Trust Homes. In 2015 the Carty Property Group commenced trading under the name Carty Homes to better reflect their brand and move forward to exciting new developments. Carty Homes will continue to constantly push the boundaries of excellence and the development of innovative ways to build energy efficient homes that are better for you, your family and the environment. We have established valuable relationships with the finest construction, design and architectural professionals in Sydney, which has allowed us to commit to a very high level of professionalism and quality in our projects. 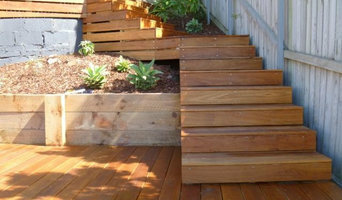 Dawe Design Carpentry Pty Ltd is a Northern Beaches Based Carpentry Contracting team that specialises in all aspects of Carpentry and Building. Collectively with over 25 years experience DDC offers a professional and efficient service that far out matches our competitors. Ryan Dawe the director has 18 years experience alone in the construction industry and has worked in all aspects of residential and commercial building. Ryan has been leading teams of carpenters since he was 17 years old and knows exactly what it takes to produce the highest quality of workmanship. All types of carpentry undertaken. From bespoke joinery items to heritage work. Licensed company with 25 years experience. We are based in Turramurra on the North Shore. We are also a preferred installer for Decowood. Prescom Constructions is your residential building company. We work on small- to medium-sized construction projects, specialising in renovations, extensions and outdoor areas. We are based in Sutherland Shire and offer services to all of Sydney. Our experience and select staff – backed by innovative practices – ensure that you receive price-competitive rates on all services, without sacrificing quality. We have established ourselves by supplying the best sub-contractor carpenters to major house builders across Sydney. Our business is built on our commitment to delivering high quality and the most reliable cost effective on-site carpentry solutions. From the first timber frame drop to the last set of finals, we are with you every step of the way. The work of carpenters in Sydney, New South Wales is wide and varied, so many choose to specialise in a particular line of work. Any qualified carpenter in Sydney, New South Wales should be able to perform general carpentry work involving framing and the installation and repair of timber structures and fixtures, while other jobs may require a specialist. Scroll through this page to find carpenters and woodworkers in Sydney, New South Wales. You can browse their latest projects, read reviews and see how other homeowners rate their work, and message them directly.